FEMA reported that 98% of U.S. counties have been impacted by a flooding at some point in their history. Coastal flooding, river flooding, and surge flooding are impacting onshore and offshore communities everywhere. With the increase in the volume of traffic, number of vehicle miles traveled, and deteriorating infrastructure, road construction is a year-round occurrence. Read on to learn more about preventing crashes. Knowing available COC insurance options is a key precaution for any construction firm or property owner. General contractors may be exposing themselves to increased risk, especially those posed by subcontractors and the construction supply chains. To explore this topic of “buy vs. build” in carrier data analytics, we spoke with Risa Ryan, Head of Strategy and Analysis in the U.S. 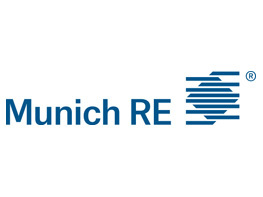 Reinsurance Division at Munich Re. With the ELD Final Rule Now in Effect, What Can We Expect From Roadside Inspectors? According to the Commercial Vehicle Safety Alliance (CVSA), state and local law enforcement safety officials will check the ELD-related items when conducting a roadside inspection. To avoid possible health problems, you must be able to recognize the hazards that can lead to dehydration and know how to protect yourself. Read the post, and ask yourself if there are actions you can take to keep your body sufficiently hydrated. Retrospective (Retro) rating insurance plans can have many advantages for employers. Read on to learn more about this hybrid risk financing plan to determine if it meets your organization’s needs. Visiting an Art Fair? Here are some tips to make the most of your time and to protect your investments. According to predictive data compiled by CSO, the future implications cyber security are staggering.